Ford’s new CEO, Jim Hackett, made it clear this week that the traditional automaker is looking to vastly expand its EV offerings, something Wall Street wasn’t terribly interested in (at least for now) because Ford isn’t spelled T-E-S-L-A. But that’s besides the point. Hackett plans to cut costs by $14 billion in the coming years, and pour more investment into electrified cars. That has the United Auto Workers concerned about the prospect of job losses, and so union leaders are speaking up, reports Reuters. 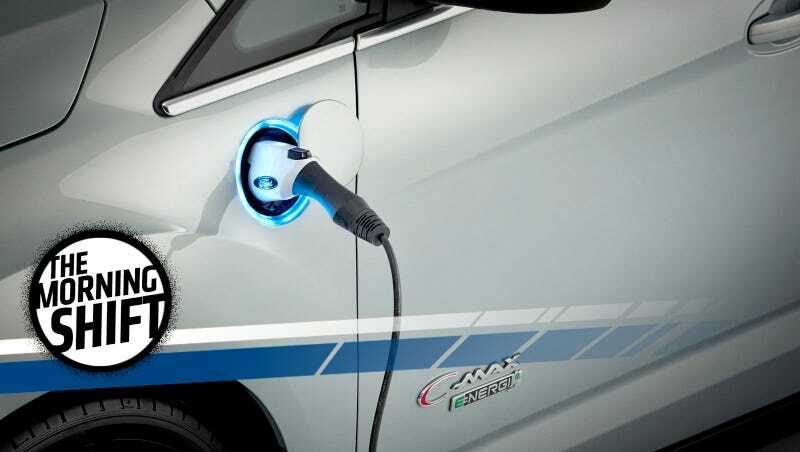 With General Motors also planning an onslaught of 20 new electric vehicles by 2023, I wouldn’t be surprised if discussion about this quickly ramps up. Everyone—but maybe Sergio—is coming around to the notion that electric vehicles are the future. With most of Europe, and now possibly California, implementing a cut-off date for the combustion engine, it’s not exactly a surprise. And you can count Carlos Ghosn among the crowd. French automaker Renault, of which Ghosn wears one of his many hats as chief executive, is hoping to lean on electric cars as a way to deliver a 44 percent sales increase within the next five years, reports Reuters. Electric cars are “turning into a significant contributor to our performance while other automakers are just starting the journey”, Chief Executive Carlos Ghosn said on Friday. Renault’s mid-term plan shows it growing faster than alliance partner Nissan (7201.T), which it trails in China, due to recent investments in Iran and India and a Russian rebound. In the coming years, Renault’s looking to launch 20 models that are either battery-powered or hybrid, according to Reuters, and Ghosn thinks it can become a core business for the company. “Our vision now is a profitable core business,” he told the news agency. Imagine that, a world where the electric revolution actually does take foot. We still got a long way to go before that possibly happens. Back in 2014, Toyota agreed to pay the feds $1.2 billion to avoid a criminal prosecution over claims that it made deceptive statements to investigators about unintended acceleration issues that existed in 2009 and 2010. That deal also called for three years of federal monitoring, which came to a close this week, after a U.S. district judge in New York, William Pauley, agreed to end the case. Pauley offered a blunt assessment about his take on the jarring episode, in an order to dismiss the case on Thursday. Pauley said in 2014 the case represented a “reprehensible picture of corporate misconduct,” and expressed hope the government would ultimately hold the responsible decision-makers at Toyota accountable. Individual legal claims related to the unintended acceleration issue are still ongoing, Reuters reports. The company paid more than $1.6 billion to settle previous claims with as many as 22 million current and former Toyota owners. Amid the never-ending fracas playing out in Washington D.C., the auto industry has thrown its weight behind a bill that would create a legal framework for the development and deployment of self-driving cars. A version of the bill already passed the U.S. House, and now the U.S. Senate appears poised to do the same. Like the House version of the legislation, self-driving trucks weren’t included—a victory for union officials who lobbied for the removal over employment concerns. The bill allows for automakers to each sell up to 80,000 self-driving vehicles annually, if they can show they’re safe, according to Reuters. Automakers could also seek exemptions from the National Highway Traffic Safety Administration for thousands of vehicles to be deployed for testing and development purposes. Since the middle of September, workers at a GM factory in Canada have been on strike, after bargainers hit a roadblock during contract talks. About 250 people have been laid off since, and now the idling facility is expected to impact stocks of the Chevrolet Equinox, according to Automotive News. Stockpiles of the Equinox, GM’s second best-selling nameplate, are quickly drying up, despite the automaker’s attempts to ramp up Equinox production at two plants in Mexico to supplement Canadian output. U.S. inventory of the Equinox dropped to 43,453 vehicles, or a 41-day supply, at the beginning of October, according to the Automotive News Data Center. Inventory stood at an all-time high of 74,400 units, or a 66-day supply, in June. Discussions between negotiators are expected to continue early next week, the news outlet reports. Consumer safety advocates are fretting over the possibility of tens of thousands of regulation-exempt cars hitting the road. Do you think Congress should slow its roll here? Or are you OK with automakers sending out futuristic robotcars to the streets in the near future?